Connecting Country is once again monitoring our nest boxes. 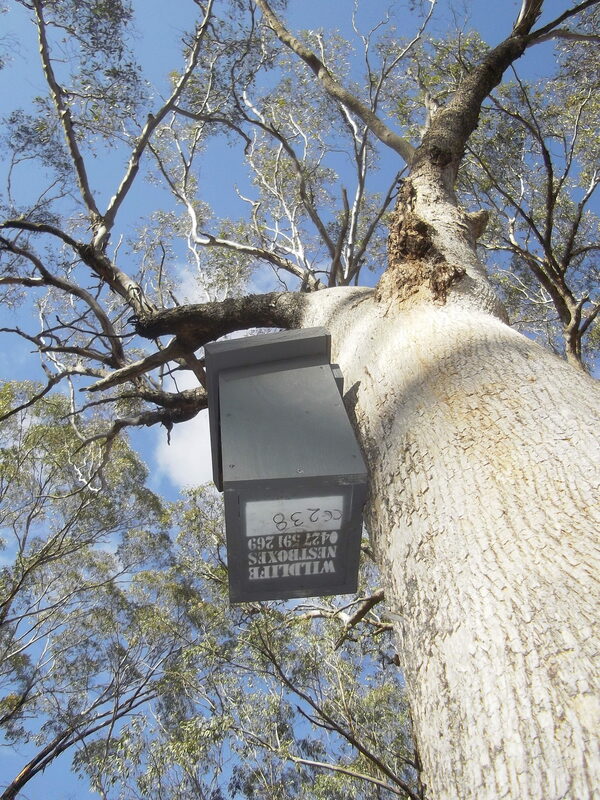 These boxes were installed across the shire in 2010-11 to provide habitat for Brush-tailed Phascogales. The boxes have all been monitored at least once during autumn in the survey periods of 2011, 2012, 2014 and 2016. A summary of the results to date across the whole of the survey periods, and other information about the monitoring program, are available on the Connecting Country website – click here. Please contact us if you are interested in assisting as a volunteer with the nest box checks by emailing asha@connectingcountry.org.au. You won’t be climbing trees or ladders, or handling animals, rather helping with carrying equipment and recording data. It is a great opportunity to see some interesting and special places in our local landscape, and learn more about phascogales and other species. Updates on the nest box monitoring program will be provided after the autumn monitoring. For further info on our nest box program, see our monitoring page of our website – click here.